I know I wrote in my first post that there’s more to vintage English tea china than Royal Albert… But there’s no denying its popularity and endurance, and this is well deserved. You only have to pick up a cup to feel the quality, and appreciate the well proportioned shape and weight. 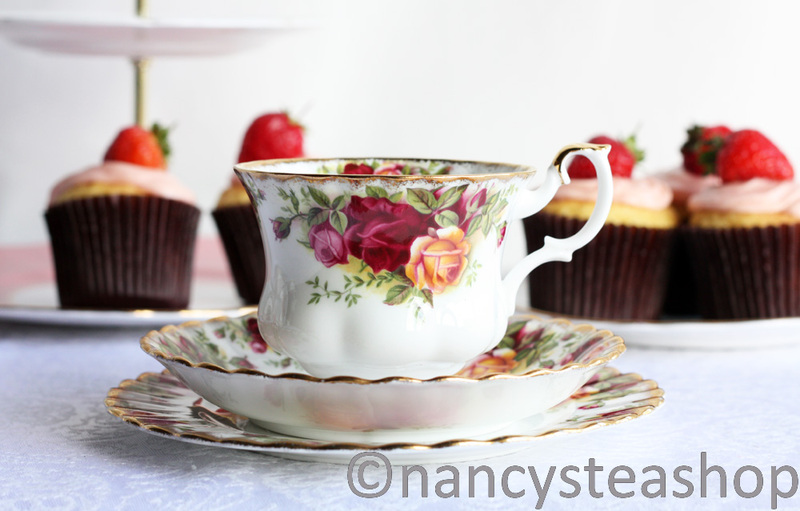 The classic Old Country Roses tea set – perfect for afternoon tea! Royal Albert china started at the Albert Works in Longton, Staffordshire. In 1896, Thomas C Wild and his son Thomas Wild purchased the Works (named the year before to commemorate the birth of the young Prince Albert) and started making bone china with the brand name Albert Crown China. In 1904 the brand was given the “Royal” tag after making commemorative china for Queen Victoria’s Diamond Jubilee. With my New Zealand heritage I was interested to find out that in around 1910 the first overseas agency was set up in New Zealand, quickly followed by Australia, Canada, and the USA. 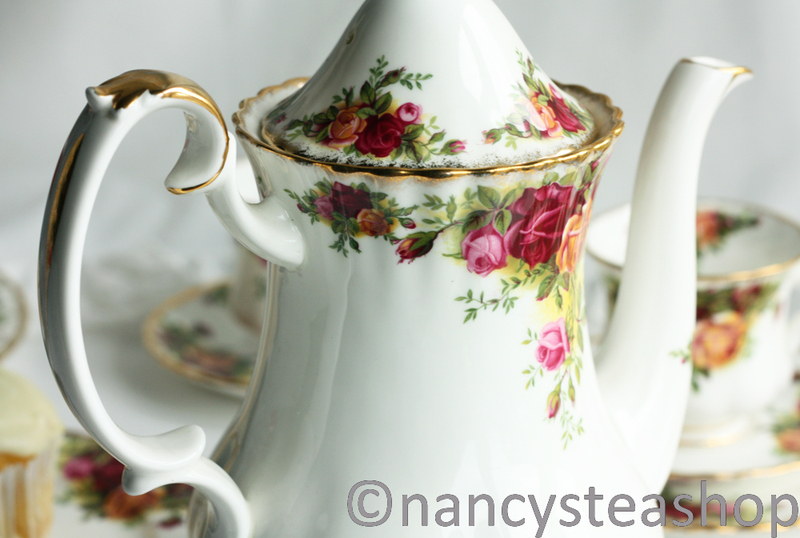 The majestic coffee pot from the Old Country Roses range. I’ve only been able to find one of these, which has gone to one my fellow vintage lovers in the United Arab Emirates. The English fondness for cottage gardens, roses, and shady woods have inspired thousands of designs which appeal to a wide range of tastes. Harold Holdcroft’s Old Country Roses, introduced in 1962, remains the flagship of the Royal Albert brand and continues in production as one of the world’s most popular and well known china patterns. In 2005 Wedgwood completed its takeover of Royal Doulton acquiring the ‘Royal Albert’ brand. Wedgwood then went into receivership in 2008 but ‘Royal Albert’ is still a core brand of its current owner although I think much of it is now made in Indonesia. In my next couple of posts I’ll be sharing some of my favourite pieces of Royal Albert china. What are your favourite Royal Albert tea sets? 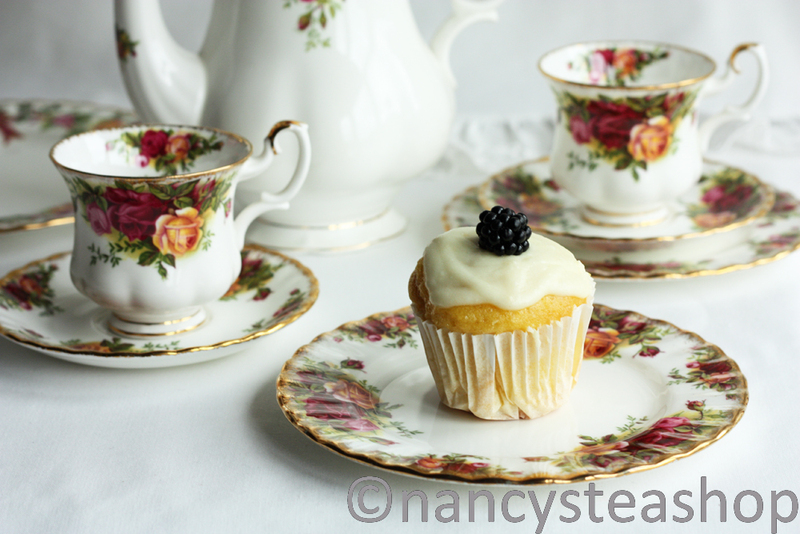 The only downside with collecting vintage china is trying to resist making delicious cup cakes to go with them! This one cupcake was lemon with a fresh blackberry from the garden on top. 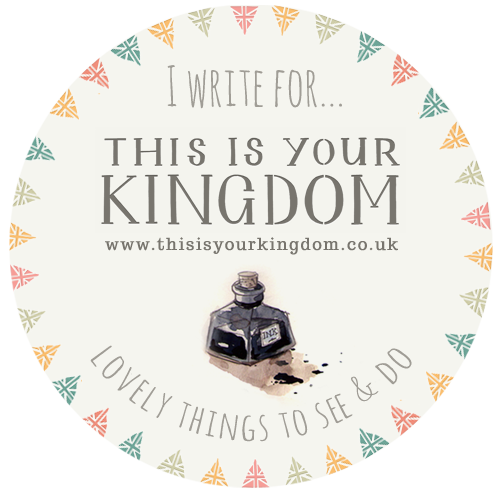 I’m just browsing through your blog. I used to work in the china department of a major Canadian retailer for many years (1989 – 1997) and although I was personally, not a big fan of Old Country Roses, it was one of our best sellers. I was told by a rep from Royal Doulton (who owned Royal Albert at the time) that Old Country Roses was the only pattern in the world guaranteed not be discontinued. I’m not certain if that is still true but, it still seems to be a top seller. Slightly off-topic – I am discouraged that, at least where I live, buying fine china or picking your china pattern seems to be considered passé. It’s quite a shame. I wonder if this is a trend world-wide? That’s interesting what you say about Old Country Roses. I don’t know whether it’s guaranteed not to be discontinued but that would make sense given how popular it is. I’ve sold pieces to customers all over the world. I noticed the other day that there’s a New Country Roses pattern out now too. It’s also interesting that you say that collecting or buying vintage china isn’t popular where you live. I think that’s been the trend for many years but the feedback I’ve had from selling vintage china items is that people are valuing vintage china more and more and are enjoying using and collecting it. I guess maybe because it has more history attached to it than more modern pieces. And also there are some really beautiful patterns that are very versatile and can look good with more contemporary pieces too.